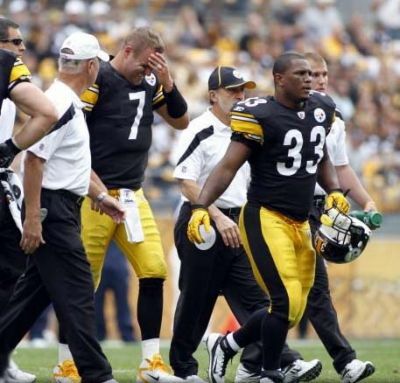 Ben walks off the field after being hit low (knee) by Seattle’s Raheem Brock after he completed a 16-yard pass to Heath Miller. Ben laid on the turf for a few minutes before gingerly making his way to the sideline. He came back in the second half.